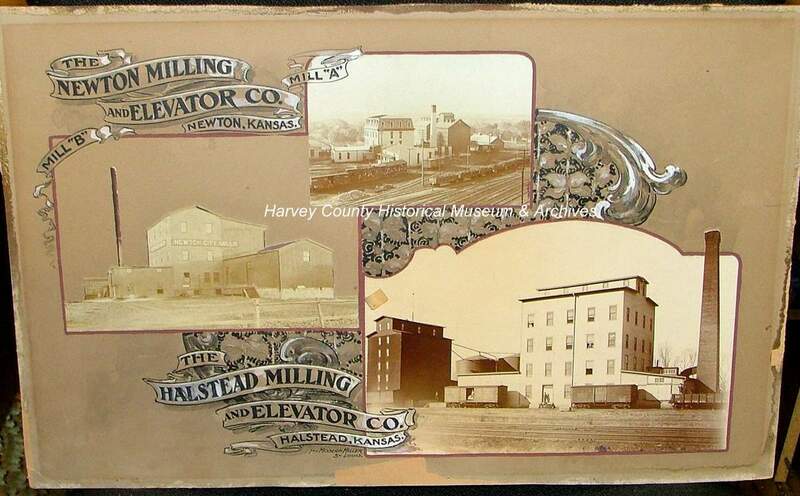 Flour Milling Industry in Harvey County. Bernhard Warkentin, a Russian German immigrant, determined the soil and climate in Kansas were favorable for Turkey Red, a variety of hard winter wheat. Warkentin was instrumental in bringing Turkey Red wheat from southern Russia (the Ukraine) to Kansas. Introduced during the mid 1870s into the Kansas counties of Butler, Harvey, Marion, McPherson and Reno, the use of this variety of wheat spread across Kansas and then to neighboring states. Before long, exports were made throughout the world. In 1870, Kansas raised 2.5 million bushels of spring wheat. With the introduction in 1880 of Turkey Red hard winter wheat, 17.3 million bushels were raised. That number climbed to 30.3 million bushels by 1890. The vast wheat production created new business opportunities in Harvey County—the milling of flour. As a result, there was an abundance of flour mills over the years. They were in Burrton, Halstead, Hesston, Sedgwick, Walton and multiple mills in Newton. Prominent flour mills were Alta, Claassen, Consolidated, Goerz, and two “Warkentin” mills (one in Halstead and the other in Newton). Photo Source: HCHM collection.